One of the major features of Android Wear 5.1 that puts it above Apple Watch, and its watchOS 2, is that (since launch) their watch faces have been user-customizable. Anyone can create their own custom watch face, and submit it to the Google Play Store. Apple today, in comparison, only allows pre-defined watch faces, including a tie-in with Disney. Disney previously had exclusive product tie-ins with Nokia in the 1990s that are credited for helping make Nokia (at the time) the world’s largest phone maker. So it’s a little odd that Sanrio, whose Hello Kitty rivals Mickey Mouse in global notoriety, has vanished from Google Play. 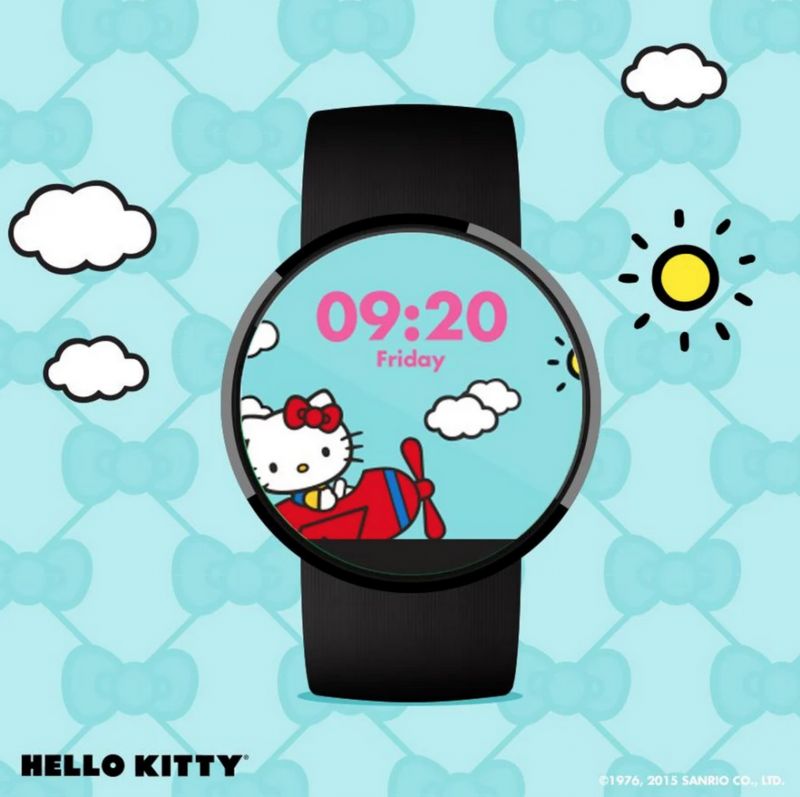 Google heavily promoted the Hello Kitty tie-in with Android Wear advertisements in online and traditional media. The free watch face is currently only available to those that downloaded it prior to being pulled publicly. It’s not clear why the watch face has been removed. Neither Google nor Sanrio has even acknowledged the removal. However, it may come down to cost. With millions downloading the free watch face, Sanrio may have had a change of heart with offering it for free. Most Hello Kitty mobile wares, outside of fremium games, have had at least a $.99 charge tied to them. It’s also possible the free watch face was bought and paid for by Google, and now that the launch festivities have ended, Sanrio may offer the watch face later as a paid download. Apple offers a similar ability for existing downloaders to continue to use some apps that have been taken off the App Store. However, that is not always the case. It is up to the app publisher. In some rare circumstances, Apple and others like Amazon have even gone as far as to remove an app completely – even for those that bought and paid for that. The Sanrio mystery is a great example of why sideloading and the ability to physically back up app purchases is important. While Google is still offering the app available for download (to existing/grandfathered users), that isn’t always the case. By being able to sideload apps – and back them up physically – users can ensure that a product going dark online… doesn’t mean the users can no longer enjoy them.